At ArtPrize, we're thrilled to offer families and people of all ages unique experiential learning opportunities through free activities, events, and expert-produced activity resources. Below you'll find our top five insider tips for getting the most out of your ArtPrize visit with your kids! The STEAM Village powered by Switch has transformed the ArtPrize HUB/HQ soundstage into a learning lab, with experiential stations featuring Switch-funded Planet3 and Code.org software demonstrations, a virtual reality painting experience, tinkering stations, and Northwood Awakening, a stunning combination of photography and textile that captured visitors’ imaginations and the $200,000 Public Vote Grand Prize in 2015. Stop by the HUB/HQ at 41 Sheldon Blvd SE daily from 11 a.m.–6 p.m. for an unforgettable experience. ArtPrize Labs will once again provide families and people of all ages unique experiential learning opportunities through daily, drop-in activities at eighth annual event. Returning for a second year is the ArtPrize Labs Drop-In Studio. Located inside the HUB/HQ, the Drop-In Studio offers a quiet space and materials for visitors of all ages to rest, unwind, and explore their creative inspiration in a self-directed way. Open daily from 11 a.m.–6 p.m. through October 9. 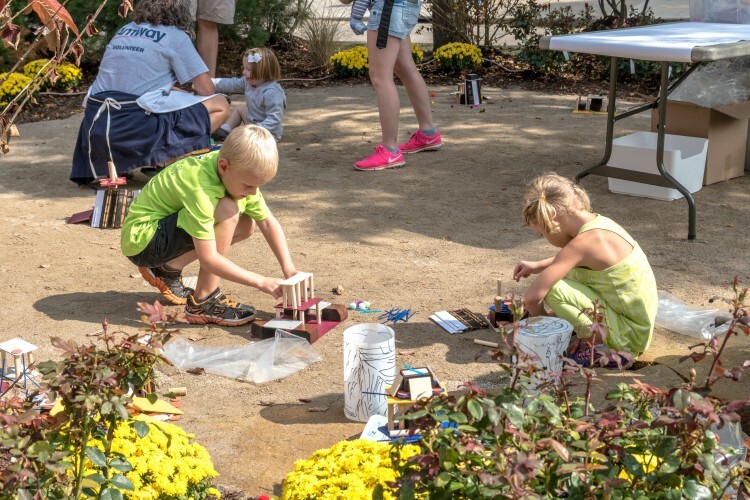 Additionally, ArtPrize Labs will once again feature Saturday studio events in the beautiful Pop-Up Park outside the HUB/HQ, featuring hands-on creative activities inspired by the ArtPrize artist entry categories. ArtPrize Labs is sponsored by Amway, Grand Valley State University, and Herman Miller Cares. New for 2016 is the ArtPrize Labs Mobile Workshop, presented by Herman Miller Cares and developed in collaboration with local artist Eliza Fernand. Through her work as an artist and teacher, Eliza seeks to empower communities through teaching self-sustaining skills, creating socially engaged projects that demystify the practice of artists, and encouraging cross-media collaboration. 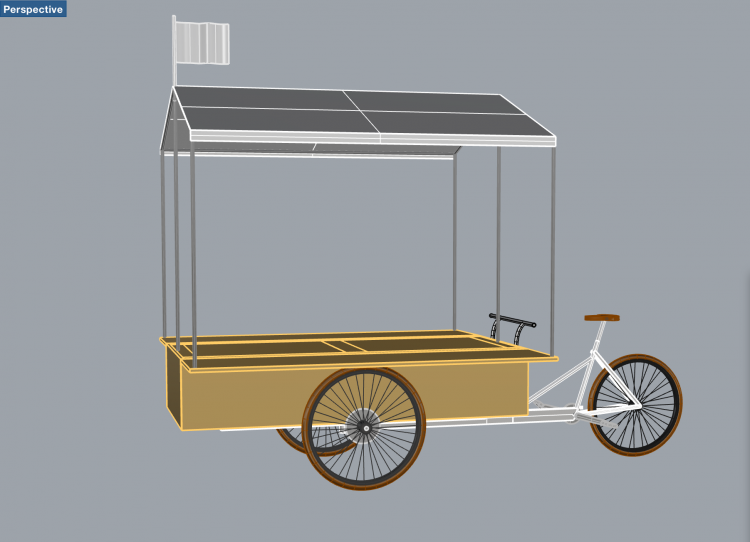 The ArtPrize Labs Mobile Workshop, which will unfold from a bicycle, will tour around the ArtPrize district throughout the 19-day event -- bringing pop-up art-making activities to thousands of visitors, all done with repurposed materials. Cameron Van Dyke designed and constructed the Mobile Workshop, he operates a design and fabrication studio focused on commissioned and self-generated projects in furniture, residential interiors, public objects, and experimental vehicles. His focus is to create exquisite, inspiring, high-quality objects that serve our public and private experience. Exploring ArtPrize with young children has never been easier, thanks to our friends at GRKids. They put together a stroller-friendly route that will take you about 90 minutes if you’re moving along. You can easily modify the route by cutting off portions or extend the route by lingering in venues like DeVos Place. And don't forget! 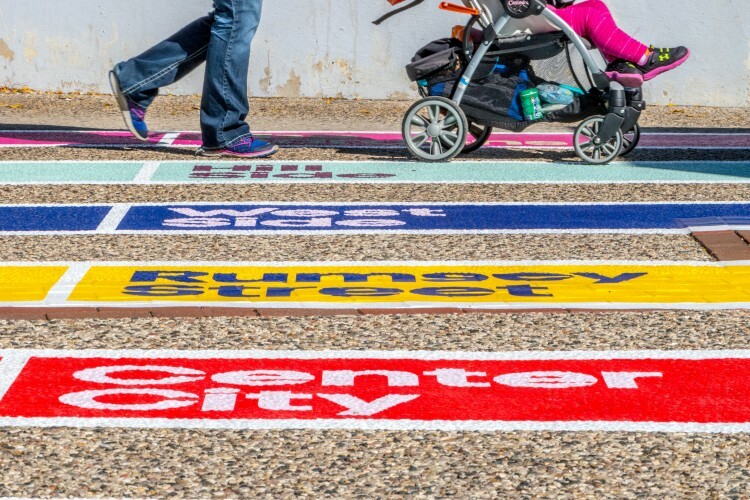 Our six Pantone Pathways—which will get you with one block of 90% of venues!—are all created to provide the least amount of barriers. ArtPrize has partnered with community organizations and local institutions to offer programming that will encourage visitors to engage in a meaningful way during ArtPrize Eight. These ArtPrize Partner Organizations will offer family-oriented programming throughout the eighth annual event. Families are encouraged to check out the Grand Rapids Art Museum’s GRAMStudio on Saturdays and Sundays during the 19-day event, to create their own works of art. The Urban Institute of Contemporary Arts will host Family Day@UICA on Saturday mornings to create mixed media collages inspired by work from their ArtPrize Eight exhibition. 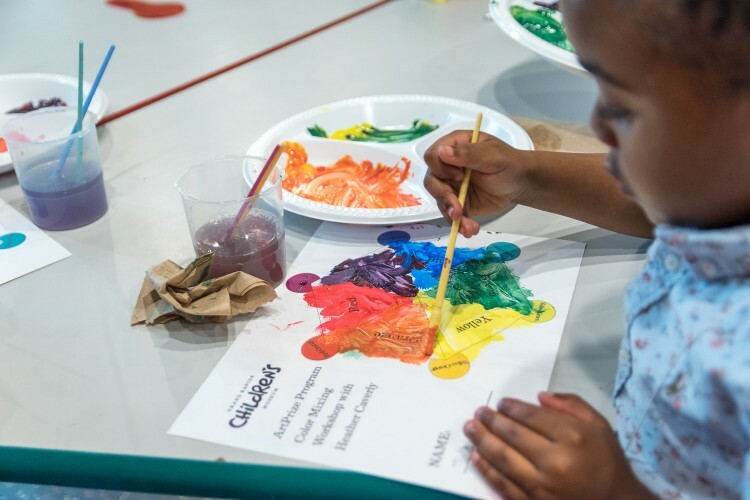 Kids ArtFest will return to the Grand Rapids Children’s Museum, where families can spend an afternoon painting, sculpting, drawing, creating mosaics, and enjoying live performances at Veteran’s Park. From creating works of art to group stroller tours throughout downtown, ArtPrize partner organizations will have programming that everyone will enjoy. For a full and continuously updated schedule of ArtPrize programming for kids and families, see the ArtPrize events calendar both online and on the mobile app, free for iOS and Android devices.